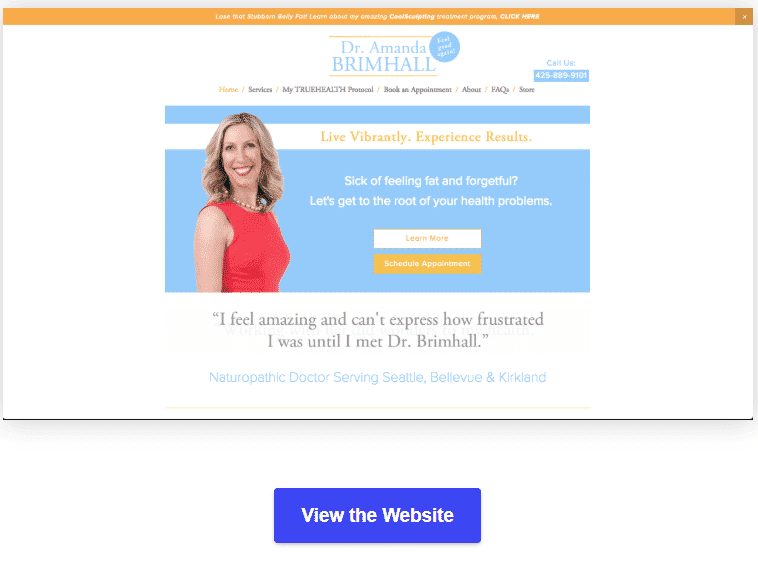 Dr. Amanda E. Brimhall of Waterfront Wellness is an expert ND in Kirkland, WA. Her clinic treats patients with hormone replacement therapy, CoolSculpting, functional medicine, and so much more to help them live their healthiest lives. Dr. Amanda Brimhall wanted her patients to understand why she was the best. With several nearby competitors, there was a primary focus placed on communicating the unique difference of working together with her. We had to target the ideal patient through a robust keyword strategy and make sure that the website spoke directly to them to engage them to take the next step — making an appointment. With a thorough understanding of the unique difference that Dr. Amanda provides to her patients, we were able to optimize her website to speak directly to her ideal persona. Coupling this with our understanding of local SEO and internet marketing tactics, we worked together to help drive her practice’s growth! Let’s engineer a strategy for you and do something amazing together! How's it going? 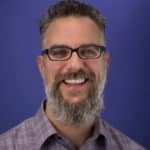 I'm Tony Lael — one of the partners here at Fannit. Let me know if you have any questions.